"I think at most, we're looking at maybe 50 to 100, maybe less. CIA director Leon Panetta has estimated there are only 50 to 100 Al Qaeda militants operating inside Afghanistan, as US forces work to "flush out" mastermind Osama bin Laden. Mr Panetta said bin Laden remained "in very deep hiding" in a tribal area in Pakistan surrounded by tremendous security and that the Taliban is "engaged in greater violence right now". Mr Panetta said US forces had killed or captured at least half the Al Qaeda leadership, making the terrorist group the weakest it has been since the 9/11 attacks. "We continue to disrupt them. We continue to impact on their command and control," he said. "We continue to impact on their ability to plan attacks in this country." The spy chief estimated Al Qaeda's numbers have shrunk dramatically in Afghanistan. 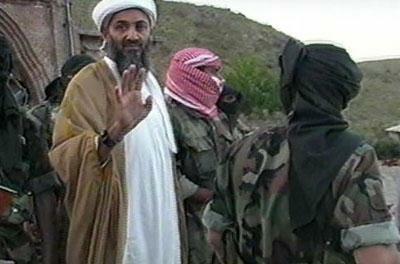 "[Al Qaeda] is probably at its weakest point since 9/11 and their escape from Afghanistan into Pakistan," he said. 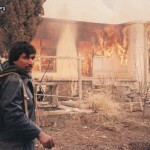 "There's no question that the main location of Al Qaeda is in the tribal areas of Pakistan. If we keep that pressure on, we think ultimately we can flush out bin Laden." "They're doing more on IED's (improvised explosive devices)," he said. "They're going after our troops. There's no question about that." Mr Panetta admitted the war in Afghanistan was taking much longer and was much harder than anyone anticipated. At the end of the deadliest month in Afghanistan for allied forces, Mr Panetta said progress was being made but there are still serious problems with governance and corruption. "The key to success or failure is whether the Afghans accept responsibility and are able to deploy an effective army and police force to maintain stability," he said. In a report released last July, Sopko and his staff found that the Pentagon had shipped Afghan security forces tens of thousands of excessive AK-47 assault rifles and other weapons since 2004, and that many had gone missing, raising concerns that they'd fallen into the hands of Taliban or other insurgent rebels.